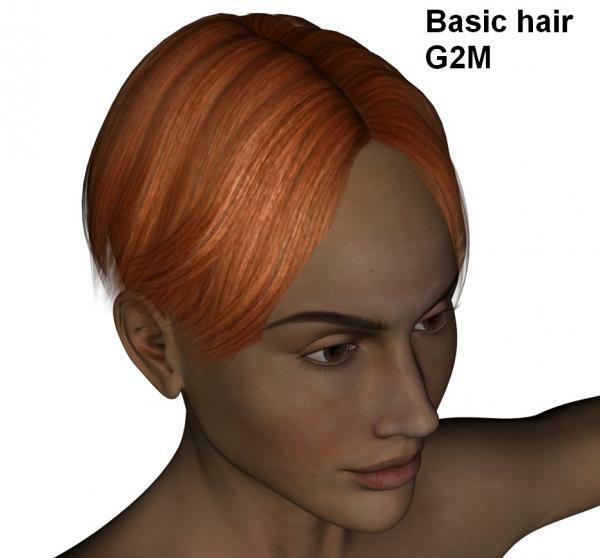 Six Hair Fits for Dawn using free Genesis, Genesis 2 Female or Genesis 2 Male hairs. Tessier Jacky (5 years ago) Inappropriate? I looked for free Kaylum Hair but I coulnt find. I'm french so it's a bit more difficult to understand and navigate on Daz forum. If you can indicate where to find this free hair I will make a fit for Dawn with pleasure. SmileyWitchFaerie (5 years ago) Inappropriate? Yes Arlesienne, it seems that there was a confusion in my head. A friend of me told me as you that Hawthorn aud K-nicky wasn't free. I have been a PC member, perhaps it is the reason. I'm sorry. The problem with Daz is that items are free a while and not after. Hawthorn has come, I think with an update of G2F. I don't remember bying K-nicky. If you can't get those, its easy to delete the files correspondind in the folder. CHACORNAC (5 years ago) Inappropriate? Merci pour ces "nouvelles" coiffures, qui manquent un peu pour Dawn.